This article will tell you what you need to know to get your ex back. This isn’t a bunch of rules but it is my advice. 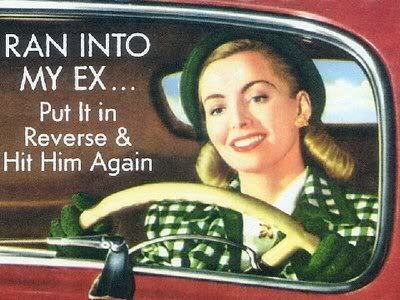 Take my advice and get your ex back. All of my Facebook friends have been messaging, instant messaging, and commenting on my blog a lot asking for love spells. You can try my sugar love spell or this simple true love spell. If you are more familiar with witchcraft and Wicca then you might want to try my spell to make someone love you. These three spells are wonderful and effective and free. Wondering if you guys are meant to be? Want to talk to a love expert? Then get expert advice from real love counselors, psychics and tarot readers. You can get one question asked for free or talk to them for free for the first three minutes by clicking here. If you want some eBooks on getting you ex back then try. A lot of people have heard of charging their candles for magick, but some people still don’t know how. This will give you a brief overview of how to charge your candle and hopefully give you some information as to why it is so important when using candles to do this. This can make your magick more potent and more effective. This is so simple and easy to do, once you see your magick working even more effectively with the use of charged candles then you will realize the importance of charging your spell. The only thing you need is the candle that you are going to use with the magick runes, or symbols already inscribed into the candle, the candle holder and that is all. You can have a match and lighter on hand if you plan to let the spell or magickal working be the candle with the runes which is such a simple way yet powerful way to do magick. 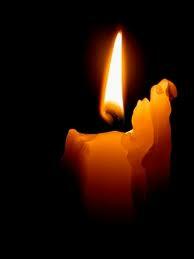 What you will need to do is place the candle in your power hand. 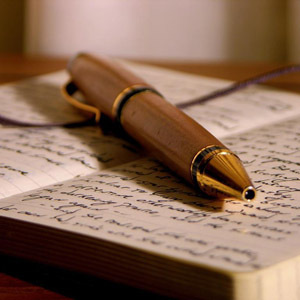 Your power hand is the one that you write with. Place your opposite hand upward toward the sky. 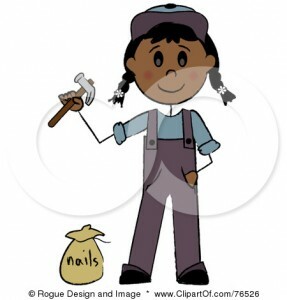 Visualize your goal, at the end of this working what is it that you want to have accomplished? Visualize and imagine the hand being filled the energy of the God/dess. 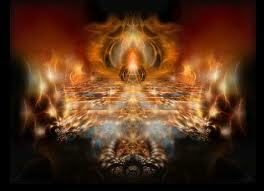 Now see the universal mother energy combining with your intention. With this combined energy flowing through you and filling your whole body, push this energy into your spell candle. You are the conductor and have control of this energy given to you by the God/dess. Push the energy into the candle, you may also speak aloud your intention. You can place the candle into the holder and light it if you are doing a candle magick working. Or you may proceed now with the full magickal working or spell casting. For me it seems to work best if I do my cleansing ritual, layout my tools, and then charge my candle before doing the whole spell. It may take some time, and some people tend to think that certain spells shouldn’t be as lengthy but for me my magick is almost guaranteed to work when I follow these procedures. This is not to say you must do this this this and this to receive a certain result, but it can make you magick more effective. Lengthy spells for me have always worked well and I must say that during this time I feel and intense connection with the God/dess which of course plays a deep part. Make sure to leave a comment below and tell us all how you charge your candle or how this ritual worked for you. Do a Love Spell WITHOUT ingredients! Have you ever wondered if it was possible to do a spell or specifically a love spell without ingredients? Yes! It is so possible to do a love spell with little or no ingredients. With a little creativity, maybe reusing some older items, some concentration and mental ability you can successfully complete a love spell spell. In this article I will explain some simple techniques for doing a love spell. Leave a comment and tell me what you think. Sometimes we want to do a more elaborate love spell… but its just not possible. I have gotten a lot of emails from some of the regular visitors from this website looking for Simple Love Spells Without Ingredients. Because I have never written a love spell with out any ingredients I found this spell to be a challenge. Let me know if this spell has worked for you, as I have not attempted this spell. (I am in a great relationship already 🙂 ). Let me know how you think I can improve this spell of if this spell has worked for you. Learn how to do a love spell without ingredients! I would do this spell on the night of the full moon for the next six months. You should have attracted love just with your visualizations alone in this period of time. You can also add other elements to this spell such as the right herbs and candles, but since most of the emails have been about doing Simple Love Spells Without Ingredients I thought it would be best for me to post this spell as is. This is a quick tutorial on how to consecrate an item for use in your magickal workings. The consecrate of magickal tools before a spell working is important for a variety of different reason. Mainly because it cleans the candle/object of residual energies and adds neutral energies for your spell castings/rituals etc. When we consecrate a candle we dedicate it for a magickal purpose. A lot of people have problems with reusing candles and things like that for mutiple spells. I don’t! I mean what a waste! If the spell doesn’t require you burn the candle down or dispose of the candle and you are using the said candle for a black magick purpose or to rid yourself of negative energies then why not?!?!?! It seems to be one of those things that don’t have a real root in knowledge of Wicca and witchcraft but everyone accepts blindly and accepts. Kinda like the whole DON’T BLOW OUT THE CANDLE thing… Yeah if you feel that way you obviously may have taken it from a pretty ignorant source. That’s why you should read more! There are many ways to consecrate a candle or object. The simplest way is before charging the candle or object dressing it. Dressing means to anoint the object with oil. You can make a general purpose oil or a Goddess oil for spells that you don’t use a corresponding oil. There are rituals to consecrate items, special spells, and some people combine blessing/charging/cleansing the items through a ritual they do themselves. If I am get a new item I do a consecration ritual to dedicate the tool for magickal purposes. A simple way to consecrate and items is to get a bowl of water and some sea salt. Wash the candle with the water and sea salt. While you do this imagine washing away any residual energies. Afterwards anoint the candle with oil. The corn dolly really represents the spirit of the harvest. Many witches use corn dollies in spell work and in this tutorial I will explain how I make corn dollies. Be careful when splitting, buying, or bind the corn stalks. The corn stalks are pretty sturdy but can easily rip with excessive or rough handling. 1)Take one bunch of the corn stalks and with the yellow cotton strips, bind the stalks just below the top and tie them tightly. 2)Around a half inch to and inch below your first knot, do the same. 3)Split the bundle into four strands. This will make the arms and body for your corn dolly. The middle two will become the body and the outer two strands will become the arms. 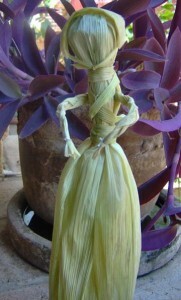 4) Bend the stalks that make your corn dolly’s arms and bind carefully with the yellow cotton strip. 5) Take a longer strip of cotton and tie it around the neck of your corn dolly. Bind the body pieces together and crisscross the yellow cotton strips around the body. The body should be around 4 inches in length. Take the green cotton strips and tie it around the base of your corn dolly’s middle and body section. 6) Split the bottom of your dolly to form the legs, just as you formed the arms. Bind with the green cotton. 7) Ask for blessing for your corn dolly. You should ask an agricultural deity. You might say: God of plenty, bless now this image of your fertility. 8) Decorate with the grape vines, other greenery and the ribbons that represent your celebration or festival. To make the corn dolly representative of a female deity just leave the bottom section to free so that it looks like a dress or skirt. A lot of people are wondering how to make a spell work. In my previous hub I talked about why a spell doesn’t work. Magick is a lot like goal setting. For newer witches I suggest that you start with smaller goals and simple spells. Sometimes our vision is clouded by what we are familiar with. It may be difficult to manifest bigger and better things until we understand how everything works and allow ourselves to fully be able to vision bigger things and try bigger spells. If you are doing a spell for money start off by asking for a little bit more, little bit more, until you achieve you final goal. With Wicca I would suggest that you keep a diary for the spells that you work. Not necessarily you Book of Shadows, but a dairy. This is useful to record the moon phases, the candles and everything unique about your spell so if your spell doesn’t work the way you wanted it too, you can go back and troubleshoot more effectively. So having a magickal diary is very important. If you are needing answers as how to make a spell work the using these tips can really help you out. If you don’t have a magickal diary then this week you should start one. It doesn’t have to be a expensive book, it can be a plain $1 notebook, but just write down the information from you spells and an excessive for more effective spell casting. This week look at an area of your life that needs improving and look at what you want, what you would like to change about this area of your life. For example you might want to date someone or find someone new. I would suggest making a list of former partners with as much details as possible. How long did the relationship last? What went wrong in those relationships? This it is to determine where your area of comfort is. Magick will help you expand that area of comfort. You need to be able to determine where that wall or block is. If your spell or goal is to far beyond your area of comfort then your spell won’t be effective and you need to break it down into smaller goals and spells. I want to make $350 per day and the most I have ever made was around $100 dollars per day. I might cast a spell for to make $125 per day and so on until I reach my final goal. Work on one thing at a time. What is something that you don’t have that you can see yourself getting? What can you see yourself getting excited about? That is your spell. And you should do you spell based on that. Then work on you details. What moon phase is right for this working? What day of the week? What candles should you use? Create a complete spell and it will work more effectively for you. Learning all of this will answer the question of how to make a spell work. There is no spell to make you a witch. Won’t you have to be a witch to cast the spells? They way to become a witch is by learning, practicing and living what you learn. 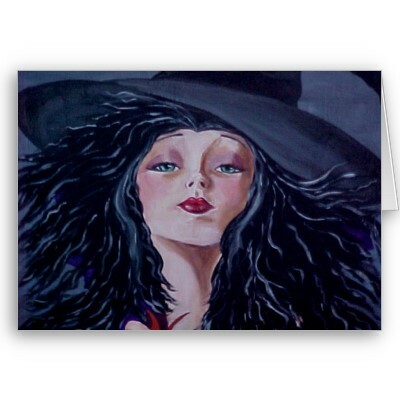 True witches aren’t witches because of a spell, they are witches because they did the work to learn and become one. Start meditating, start focusing your energy, read as much as you can, there are thousands of free witchcraft resource online. In fact you are reading a resource right now! Start by learning and doing! Instead of posting a spell to become a witch I am posting a self naming ritual, self identifying ritual that will signifying your new bond with magick and giving you the confidence needed to become a practicing witch. When you have learned enough about witchcraft to know that you are serious about the life long study of magick, you may want to do a self initiation or self dedication ritual. Start with a cleansing or purification ritual of your choice. A ritual bath is fine or a more detailed ritual designed by you will be even better. This ritual should include a cleansing of yourself and home. Especially any area where your altar may be located or where you will do the majority of your magick. The point of the ritual is to introduce yourself to the Goddess and God. Commune and be one with. You may start your ritual with “Goddess and God of Wind, Sea, Land, Sun and Spirit be with your adjoined __________” You can say your magickal name or whatever name you self identify with. If you are changing magickal names everyday you might want to go with your given name. You can make an offering and there are various ways to do this. You can offer fruit, wine, nuts, berries. Anything. You consume a portion and offer a portion by burying it in the earth of finding a large oak tree to place the items under. This is customizable but I wanted to give you guys some basic information and guidelines for your own ritual. If you have written your own self dedication ritual or have any questions, thoughts, suggestions or tips about this one, you can leave it in the comment section below! Thank you so much for help this website grow! Blessed Be! Divination runes are the classic runes used from ancient times for many reason. Some simple reason would be for answers to questions and guidance. In this article I am going to explain some basic ways to use the runes. You can learn how to make runes, about magick runes, and runes for spells work as in rune magick. You may also want to read about how to use runes, and rune tattoos. This is not the most comprehensive collection about runes and how to use them, but at the very end of this article you at least know the basics about divination runes. How to do a singles stone rune reading. Have you rune stones mixed and shuffled already. You have to have a clear mind. Focus on the question that you are seeking guidance on. Either mentally or aloud ask the question you want answered. Reach into the bag and pull out one rune. Look at the rune symbol and its meanings, to interpreret the answer. If the answer is still unclear reach in to the bag once more. If you are still unsure of the meaning, then replace all the rune stones back into the bag and try again. *Note: Divination Runes are sometimes hard to understand and even harder to master. Don’t get discourage practice some meditation techniques and learn to clear your brain. It will become easier over time! How to do a three stone rune reading. While focusing on the question, ask the question aloud or mentally. No other thoughts should float up as this might interfere with the reading focus on just the question. Pull three runes from the bag. The first rune stone represents the overview of your current situation. This will give you a general understanding of your current situation and the question. The second rune represents a course of action. This would be what you need to do in order to get your desired outcome. Runes cannot and will not make the decision for you, this is free will, the suggested course of action will ultimately be up for you to decide. The last of the divination runes you pull is representative of the outcome of the situation. *Note: This is the outcome that the runes see if you decide to take the course of action. As stated earlier we all have free will, use your judgement and be wise, if your mental state was disrupted at anytime during the rune reading it can easily corrupt the divination runes for that particular reading. How to do a Yes or No rune reading. Once again focus on the question you want to ask. Ask the question mentally or aloud and draw three runes. Check the runes to see how many are upright and how many are reversed. If the runes you have are not reversible then you need to know the general meaning of the rune to know if it is positive or negative. If all three runes are positive in nature then of course the answer to the question is yes. When all three runes are negative the answer if no. If the runes are two positives and one negative then the answer is yes but there will be something in the outcome that you will not be pleased with. If two runes are negative and one is positive this is considered to be a no answer. *Note: If the answers are partly yes, partly no, or just no then look and analyze the runes and their meanings, they will generally give you the guidance you need to make the outcome more positive for you. There are many other ways to use divination runes, but in this brief overview I hope that you will find enough information to help you get started. 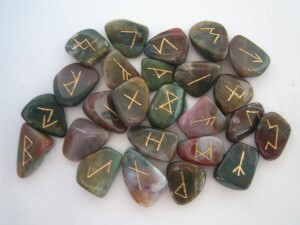 Divination runes are a great way to utilized the powers of runic symbols and I hope you will have great luck in mastering the use of divination runes. Do you use runes for divination? Leave comments in the section below. The kissing season is soon upon us, as we move through the holiday season and into the spring, so it may be necessary to brush up on your kissing techniques. The kiss can say a lot about the person you are kissing. Most women agree the first kiss can decide if there will be a second. Increase your chances of landing a second smooch with this step by step guide teaching you how to kiss. It is nice to fall in love and relieve some stress, so pucker up and give your lover a smooch to remember using these popular kissing techniques. Make sure you and your lover are comfortable. Be sitting or lying in a comfortable position. If you aren’t comfortable it will show through your body language and you’re kissing! Get as comfortable as possible and make sure she is comfortable as well. Trying to maintain an awkward position while kissing will make you look inexperienced. Hold your lover firmly but gently. Place your arms around your lover and squeeze them gently. Wrap your arms around their waist and gently pull them into you. If you are a woman you can place your hands gently on his arms or shoulders. Give your lover a good squeeze to show you are enjoying the kiss. Don’t just kiss the mouth. Kiss your lover on their forehead, cheeks and eyelids. Set the mood by kissing them softly on the mouth, breaking away and looking into their eyes, then kissing their mouth again. It’s important when learning how to kiss that you remember to relax and enjoy the kiss. Don’t go overboard with the tongue. Never try to force your tongue into someone’s mouth. Avoid wet, sloppy kisses. You are not a slobbering animal! Make sure you swallow any excess spit before you kiss your special someone. Don’t try new things on the first kiss. If this is your first kiss with your lover then don’t try new things. It is best to stick to the basics until you learn what your lover prefers when being kissed. Make eye contact after you break away. This makes your lover feel special and important. Smile and give them a compliment. Show you lover you enjoyed kissing them. Make sure your compliment makes sense. Say something simple like ‘That was great’ or ‘Wow, you are a great kisser’ this will give your lover confidence and make them feel secure. It also will help ease your lovers mind because they are probably just as nervous as you about kissing. How To Kiss! Learn The 9 Most Crucial Kissing Tips That Will Make You A Pro Kisser. Want To Know How To Be A Good Kisser? Want To Know How To Kiss A Boy? … And Kissing Girls In This Great Short Guide! Learning how to kiss is fun and can make a relationship spicy and interesting. Giving your lover a great first kiss will make them like you even more and increase your chances of getting more kisses in the future! You lover will appreciate the effort you put into providing them a good kiss. 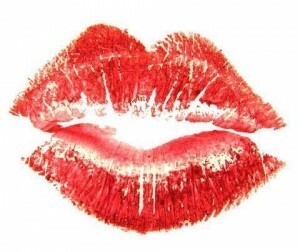 Use the techniques in this article and look like a kissing expert! The best thing about learning how to kiss is kissing! Go out there and kiss someone special! When it comes to learning how to write a spell or using magick in general you must keep in mind that each spell you write or utilize should be personal and unique for your use. Even when following a pre-written or a traditional spell, you should change and tailor it to fit you personal and very specific needs and wishes. This will make this spell more effective for you. Understanding the basics of how to write an effective and personalized Wicca spell will help you toward achieving your goal and ultimately the will of your desires. Planning ahead is very necessary and effective. The first thing needed is for you to decide exactly what it is that you want and what you want out of this spell. What will be the end result? How will it happen exactly? Be very detailed and write down the outcome exactly how it will happen. Close your eyes and envision the outcome, be very specific and detailed as possible. This helps define the true purpose of the spell and helps set the motion of the world giving you what you desire in motion. Another important thing to note when learning how to write a spell is the timing, it is so important that you choose your timing carefully and wisely. You should be aware and take into account all energy currents, moon phases, days, times of year and all astrological implications. In terms of using the moon for you spell castings and other workings please consider this general rule. When the moon is waxing (from the new moon to the full moon) it is the optimum time for spells and workings for personal or other gain, bringing things or persons to you, and other works for increases, whether personal, monetary, friendships or anything else. Likewise, when the moon is in the waning (from the full phase to to dark) it is the perfect time for spells of decrease, limitations, loss or sending away. It is important to plan your magickal working when you can fully concentrate and focus. Try to aim for an time where you can be completely alone and have zero distractions. Most Wicca find the best time for them to do there workings is between midnight and the early dawn, when most of the world is sleeping. Prepare your tools and use them wisely, the candles, spices, herbs and everything else may not necessarily have inherit magickal ability but they work together to create an effective environment for your spells to be cast and put into to motion. Remember all spells have to go into the universe and will effect you karmic debt, what goes out must come in,so be both conscious and aware of the energies you are sending into the universe. This is how you write a spell.